The Risālah is the “Message” that was communicated from Allāh to the human beings by way of Prophethood. A Prophet is one who conveys “news” or “tidings” from his Lord. The words Prophet and Messenger are often used interchangeably by Muslims. However, there are some subtle differences. Muslims believe that Islām was revealed to the first of the Prophets, the “father” of humankind, Ādam (peace be upon him), and it is therefore the first religion of humankind. The Disciple of the Prophet Muhammad (peace and blessings of Allah be upon him), Ibn `Abbās (may Allah be pleased with him) stated that mankind were upon the worship of Allāh for ten generations after the Prophet Ādam, then there appeared five righteous men, who, after some time passed away. Then Satan appeared to the people in the form of a person and cunningly convinced the people to make statues and images of these righteous men as symbols of remembrance. Years later, once Satan had caused them to forget the reason for the making of those statues, he appeared once again and convinced them that their forefathers would worship these statues. That is how idolatry entered into human beings. It was then that Allāh sent the Messenger, Nooh (Noah) to the guide humans back to the Religion of Allāh. This calling the people back to Islām continued with Prophet after Prophet till the sending of the Prophet Muhammad (peace and blessings of Allah be upon him), the final Prophet. Prophets are human beings chosen by Allāh (the Most High) to carry out a special role as conveyors of His Revelation. There are some Prophetic narrations that state that Allāh sent 124,000 prophets and 315 messengers. The Qurān names 25 odd, and a few more are named in the ahādeeth. The difference between a Prophet and a Messenger is that a Messenger brings with him new Revelation from Allāh, whereas a Prophet is appointed to confirm and establish the Revelation that has already been revealed. The most notable of the Messengers are five: Noah (Nooh), Abraham (Ibrāhīm), Moses (Moosā), Jesus (`Īsā) and Muhammad (peace and blessings of Allah be upon him). They are known as the Messengers of “Firm Resolve”. The Jews believe in Moses, the Christians in Moses and Jesus, and the Muslims in Moses, Jesus and Muhammad (peace and blessings of Allah be upon them all). The Prophets received Books, and we know the names of a few: The Torah (Taurāt) was revealed to Moses, the Psalms (Zaboor) were revealed to David (Dawood), the Gospels (Injeel) was revealed to Jesus, and the Qurān to Muhammad. Muslims believe that each Prophet brought the same religion, and fulfilled completely what he was commanded to do. Each Prophet led a good life and was sent forth by Allāh as an example for others to follow. “Say, [O believers], “We have believed in Allah and what has been revealed to us and what has been revealed to Abraham and Ishmael and Isaac and Jacob and his Descendants and what was given to Moses and Jesus and what was given to the prophets from their Lord. We make no distinction between any of them, and we are Muslims in submission to Him.” (2:135). Choose a Prophet that came before Muhammad and find out what the Qurān and Sunnah say about his life. In an exam on the “Risālah” you would be expected to know some of the Prophets and the duty of a Prophet. Islām teaches that that message brought by the earlier Prophets was changed by the people after the Prophets passed away, and was altered to such a degree that it no longer represented the call to Allāh’s Religion. Only the Qurān is seen as an accurate, unchanged Revealed Book. Muslims believe that each of the earlier messages was passed on perfectly by the Prophets but it was later partly forgotten, misunderstood, or distorted by the people. That means, for example, that the Taurāt and Injeel are the undeniable words of Allāh, but there were later entered into them serious distortions that deemed them unreliable. And that remains the case till this day. The Words of Allāh are brought down to the Messengers by an Angel. Angels are beings created from light who are utterly obedient to Allāh, and do not commit sins. Muslims do not believe that Satan (Iblīs) was a “fallen angel”, rather Allāh stated in the Qurān that he was from the Jinn. The Angel charged with Revelation is Gabriel (Jibreel). There are also Angels that record the deeds of humans and carry that record up into the Heavens. These records are recorded in a book that is presented as evidence in front of Allāh on the Day of Judgment. There are two Angels (Munkar and Nakeer) who will question the people in their graves regarding their Lord, their Religion and the Prophet sent to mankind. There is an Angel (Isrāfeel) appointed to blow the Horn for the Hour to be established. People sometimes associate the crescent moon and star with Islām and regard it to be an emblem of Islām. This is an erroneous concept and has no basis in Qurān and Hadeeth. Explain what Muslims understand by the word prophet. Name the first and last prophet according to Islam. Name the books we know were revealed to four of the Messengers. How did the prophets receive their message from Allāh? 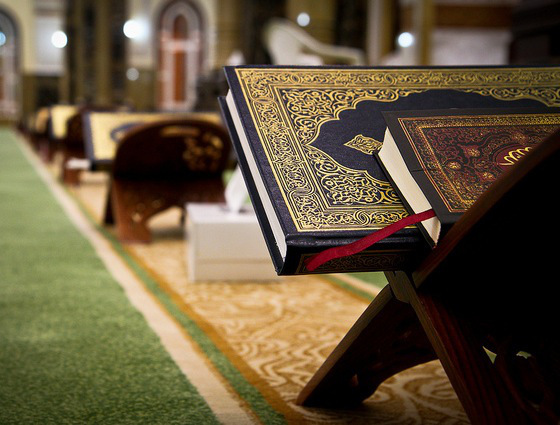 Why are the prophets still important in Islam today?